Kernodle Brothers Tag Team Tournament with HUGE Stakes!!! The Risks and Rewards are SKY HIGH on April 20th! It’s Time to “Stand & Deliver” for Champions this Saturday Night! Don’t Miss “Ill Street Blues” This Saturday Night in Chapel Hill! Shout to the Top! The Future of the Mid-Atlantic Title to be Revealed! End of an Era – Is This the End of the Trevor Lee Era? 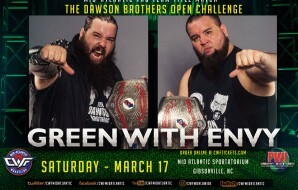 CWF STRONGER to Feature 6-Pack Challenge for the Mid-Atlantic Hwt. Championship! New Year’s Knockout Slated for January 12th! Battlecade XIX – Giant Anniversary Event set for Dec. 29th! The Road to Battlecade – Details, Ticket Info, Streaming Online! Ultimate Suvivor XVI – 16th Annual Triathlon Suvivor Match!!! 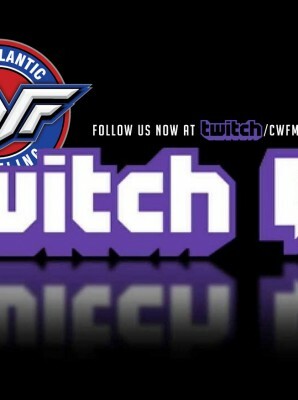 CWF Invincible – Details, Tickets & Streaming Info! Kernodle Tag Tournament – Gym Nastys & Cross Brothers! 18th Annual CWF RUMBLE: 30 Entrants… 1 Winner!! Plus Bonus Matches Double Crown, Ultra J & More! Updates from Absolute Justice & Preview for Freedom of Expression!! !